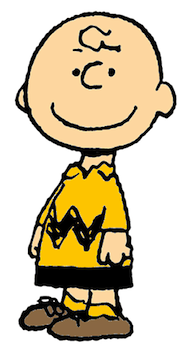 Charlie Brown, the character created by cartoonist Charles Schultz, can teach kids a lot about life and how to handle some situations. Charlie Brown is always cast in a rather downtrodden frame of mind, but almost always hopeful on some level. Here are a few lessons we can learn from the boy in the zig zag shirt. Never give up hope – In just about every show, Charlie Brown misses out; whether it’s Valentines, Halloween candy, or whatever, he always ends up with the short end of the stick. Nevertheless, he is always optimistic that things will turn out different next time and he never gives up hope. Take good care of your pets – Snoopy was always a pretty independent dog but Charlie Brown always took care of him and saw to it that Snoopy had whatever he needed. Be a good listener – Charlie, along with the other Peanuts Gang members were always there for one another. In “A Charlie Brown Thanksgiving” Sally, Charlie’s younger sister opens up to him about her feelings for Linus. He listens to his little sister even though he could have ignored her. Offer hospitality to others – Peppermint Patty invites herself and friends over to Charlie Brown’s house for a big meal in “A Charlie Brown Thanksgiving” and Charlie is taken aback. He could have turned her away, but instead he did the best he could to offer them a meal with what he had to offer; which was popcorn and toast. The point is, he tried to be hospitable under stressful circumstances. It’s okay to ask for help – His friends got upset with him for not being able to serve them a fitting Thanksgiving meal, so he called his grandmother for advice on how to handle unexpected dinner guests. Sometimes kids get the notion that they need to figure out things on their own, not realizing that they do have people who are willing to help them out. Don’t be afraid to take charge when necessary – Even though Charlie Brown didn’t always exhibit great leadership skills, those skills surfaced when necessary. For example, in “Race for Your Life Charlie Brown”, the kids got in a tough spot, but Charlie was able to come though for them and help them out. It’s good to be loyal to your friends – No matter how crazy things got between friends in the Peanuts Gang, they always managed to stick together. Always treat others with kindness and respect – Charlie Brown was always a good friend to his buddies even in those times when they weren’t so good to him. He always managed to treat them well. You can be scared and still work though the fear – Charlie Brown had lots of fears to deal with; however he never let his fears hold him back from doing the things he most wanted to do. Be true to yourself – One of the most loved Charlie Brown movies is “A Charlie Brown Christmas” in which Charlie is fed up with the materialism of the holiday. He is to choose a tree for the Christmas pageant and he chooses a scrappy little tree. Of course his friends make fun of him and they are upset because he did not get a big beautiful tree. But Charlie Brown held his ground and if no one else appreciated that scrawny little tree, he did. Being true to one’s self can be a lonely road sometimes, but it is always the best road to take. Life lessons abound in many of the movies and cartoons children watch. Parents can create some meaningful quality time with their children by watching the movies or cartoons with their kids and then discussing the life lessons later. Who knows? Maybe even Mom and Dad will learn something valuable.